We comprise several companies operating in the property and construction industries. We are privately-owned. The parent company, Birchmere Limited, was established in 1975 but several of our companies date back earlier than this. Primarily, we rent our own portfolio of residential and commercial property in Dorset. We buy land and investments and build residential and industrial buildings to add to our existing portfolio. We manage our property portfolio in-house. To improve and expand our portfolio through both the refurbishment of existing premises and the addition of new-build developments. "Birchmere Limited has been our Landlord for 4 years and have always been great to deal with. Our lease contract is clear, the rent affordable and any problems we have are always dealt with swiftly and efficiently"
"Birchmere are a pleasure to work with; responsive, friendly, and fair. We would highly recommend…"
"We have rented from Birchmere for 2 years now and the relationship has been made easy by their friendly kind manner in which they do business. Their approach is very fair and appropriate to the context of the business park. We value their business relationship sincerely." "Birchmere have been excellent landlords and a great company to deal with. They have been very reliable and look after the Industrial Estate well. We would highly recommend Birchmere as landlords." "Farrow & Ball have been a tenant with Birchmere for many years on a number of units on the Uddens Industrial Estate. During that time, we have built a very strong relationship based on mutual benefits that have greatly assisted us as we have significantly grown our business over the years"
"We have been using Birchmere for over 20 years, and to date we have never had reason not to rate them very highly. Polite, professional and prompt with everything." "PME Power Systems Group Ltd have been a commercial tenant of Birchmere Ltd since 2007. Over that period we have expanded our business and have needed to move to larger premises and take on additional units within Admiralty Park. When discussing our growing needs with the Landlord we have found them to be most helpful in finding a flexible and sensible solution that suits both parties. Their 'common sense' approach to our growing needs resulted in minimum disruption to our business and a painless transition." "Having been a Birchmere tenant on the Bailey Gate estate, occupying several buildings over many years, we have found them to be a good and responsible landlord. Their staff are friendly and helpful and requests for repairs when needed are responded to in good time. Nice people to work with." "We have now been tenants of Birchmere for over 12 years and we are totally happy with the service provided within the group"
The Birchmere Group consists of a number of companies operating from their office headquarters in Sandbanks Road, Poole. Two companies within the Group have been involved in property in the Poole/Bournemouth conurbation for many years; Stansmore (Builders) Limited, founded in 1936 and John H Wilson & Son Limited which was established in 1886 and who were once one of the largest building contractors in Dorset. Birchmere is very much a local company with all of its property holdings situated in Dorset. Industrial units form the main core of the business although the portfolio also includes offices, shops and residential dwellings for rent. The main focus of the Group’s activities has been centred on Poole where around 70,000 sq ft of factories are owned on the Nuffield Industrial Estate with further units totalling some 150,000 sq ft in Stanley Green, Fleets Lane, Dawkins Road, Ringwood Road and Sandbanks Road. The company also has property in Bournemouth, Christchurch, Bere Regis, Dorchester, Verwood and Holton Heath. The company is constantly looking to add to its existing land bank. Prime sites include approx. two acres at Tower Park and six acres at Fleetsbridge in Poole. In 2003, the company purchased the former Royal Navy Cordite Factory at Holton Heath which comprised around 300,000 sq ft of buildings in a 38 acre site. The land-holding was further added to in 2008 when it purchased an additional 80 acres at Holton Heath. 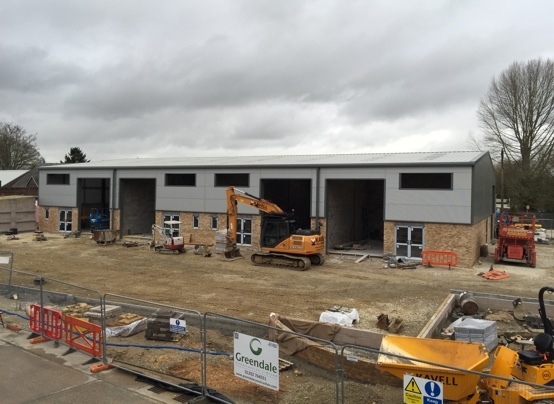 In recent years the company has moved from building in-house to placing JCT contracts to local building contractors which has enabled the development of multiple sites at the same time. In 2016/2017, Birchmere completed a scheme at Avro Business Park, Christchurch comprising 27,114 sq ft of business units for let. 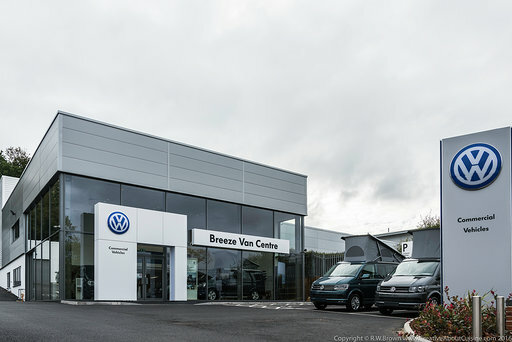 In addition, Birchmere was pleased to develop premises at Yarrow Road in Poole to provide a stand-alone Van Centre for Breeze Volkswagen. 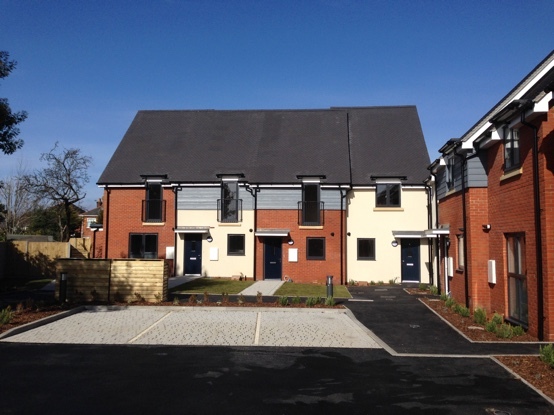 In 2011 the company took the decision to increase its residential investment holding and, by developing existing sites including that of the former Ashley Road Police Station in Upper Parkstone, has since added a further 39 houses and flats to its portfolio. Birchmere has been involved in property for many years and through continued inward investment aims to expand its current portfolio and improve the service it provides to its tenants for many years to come.